i rock paper and scissors: 3 Birds Studio - Hello There! 3 Birds Studio - Hello There! Today is my very first post over on the 3 Birds Studio blog, so make sure you head over there to see the layout I made with their brand new Graceful Season collection!! I also have this cute little card made with some 3 Birds Studio goodies too. Some layering of the pretty papers from the Graceful Season 6x6 paper pad and a few pieces from the 3D embellishment kit along with a bit of machine stitching, and this card was ready to pop in the mail. 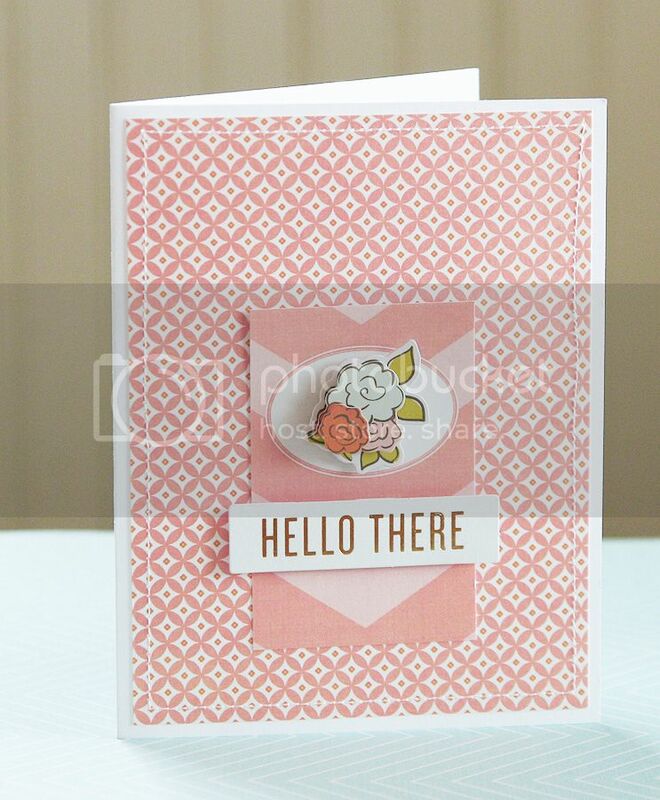 What a sweet little card! Off to check out your blog post. What a sweet card Mary Ann!!! I love it!!! Beautiful card Mary Ann!! Love how you mixed the Pink!